Trump says it is time to recognize Israel's control of occupied Golan Heights. Top Turkish officials on Thursday slammed Donald Trump's tweet seeking to legitimize Israel's invasion of the occupied Golan Heights. 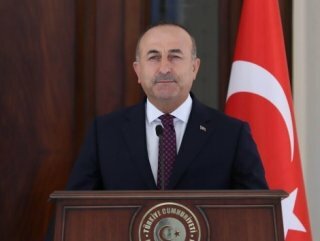 “The territorial integrity of states is the most fundamental principle of international law,” said Foreign Minister Mevlüt Çavuşoğlu in a tweet. “Attempts by the US to legitimize Israel's actions against international law will only lead to more violence and pain in the region. Turkey supports Syria's territorial integrity,” he added. Presidential spokesman İbrahim Kalın also condemned the preposterous claim. "The territorial integrity of countries is protected under int’l law," Kalın said in a tweet. 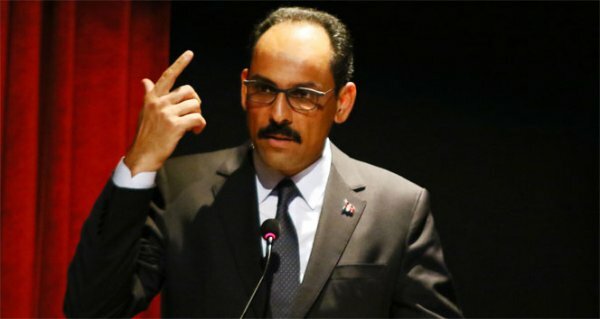 "The US government’s @realDonaldTrump attempts to legitimate Israel’s illegal actions towards Golan Heights mean nothing but supporting Israel’s policy of occupation and deepening the conflict in the region," Kalın added. Earlier on Thursday, Trump said in tweet it was time for the US to recognize Israel's control of the occupied Golan Heights. Congressional momentum has been building on Capitol Hill for the change, and the State Department last week changed its terminology for the first time on the contested territory, referring to it as "Israeli-controlled" instead of its previous usage of "Israeli-occupied." Israel has long pushed Washington to recognize its claim over the territory it seized from Syria during the 1967 Six-Day War. Israel occupies roughly two-thirds of the wider Golan Heights as a de facto result of the conflict. It moved to formally annex the territory in 1981 an action unanimously rejected at the time by the UN Security Council. The US for the first time voted against an annual UN resolution condemning Israel's control of the Golan Heights in November. In all, 151 nations voted in support, with just Israel and the US voting against.